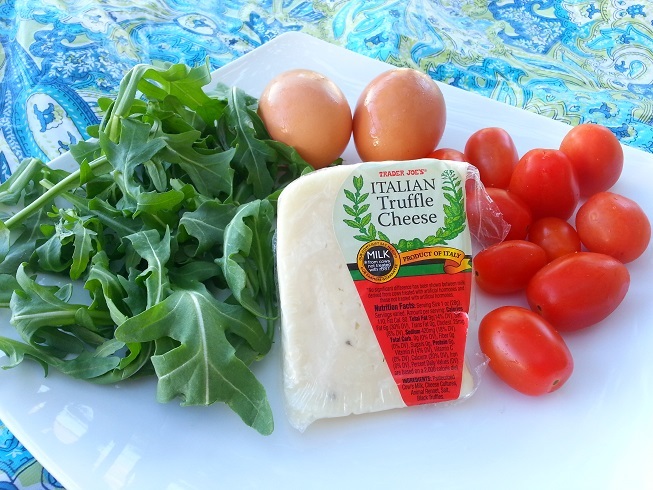 My new favorite ingredient to experiment with is “Italian Truffle Cheese“from Trader Joe’s. It’s soft, buttery, and has an intense truffle scent. So far the only people in my family who appreciate the taste of it – are I and my oldest son, my husband and the other two kids don’t like it. Yesterday, I had a thin slice of the truffle cheese with a cup of coffee for breakfast, and it was extremely satisfying, in fact I didn’t feel hungry until dinner. 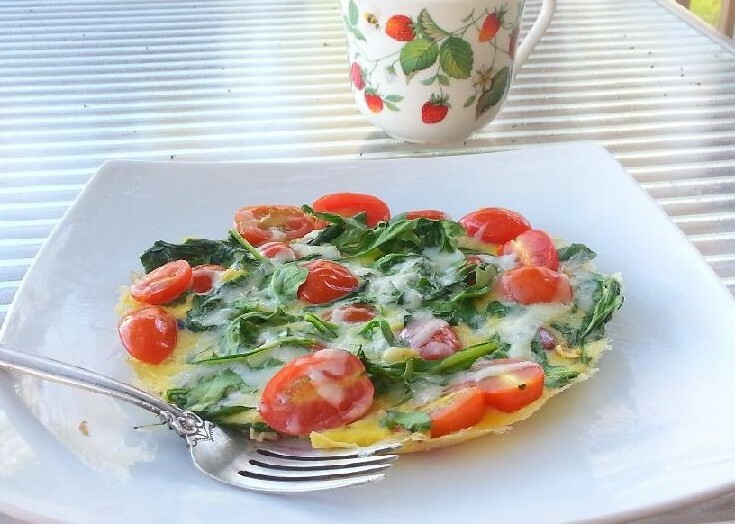 Today I added about a tablespoon of it to an arugula and tomato frittata, with just a dash of salt in the egg omitting any other herbs or spices. 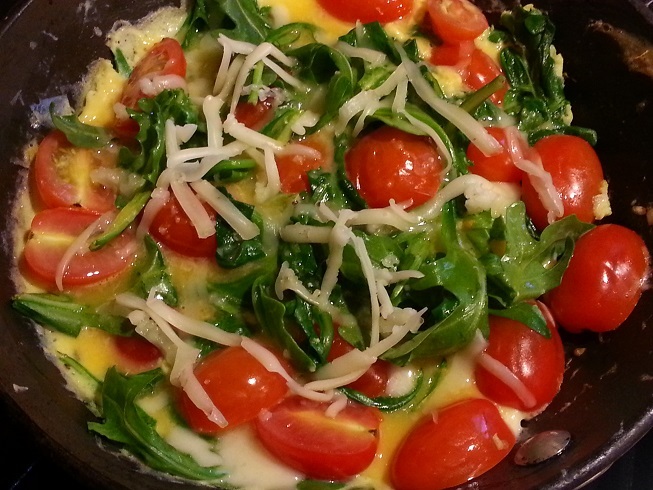 Arugula lends its slightly bitter taste to the frittata, sweet grape tomatoes balance the bitterness with sugars, the cheese adds depth and a wonderful aroma to the dish and the eggs bind it all together transforming individual ingredients into a delectable breakfast. Preheat an 8″ pan on medium high add olive oil arugula and tomatoes. Saute until the arugula wilts a little but is still bright yellow. Add eggs to the pan and stir.